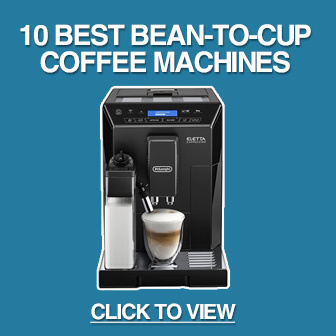 Home » Guides » How do Bean-to-Cup Coffee Machines Work? Espressos, lattes, mochas and other coffees have become increasingly popular. But how are they made? Espressos have exploded in popularity over the last couple of decades. 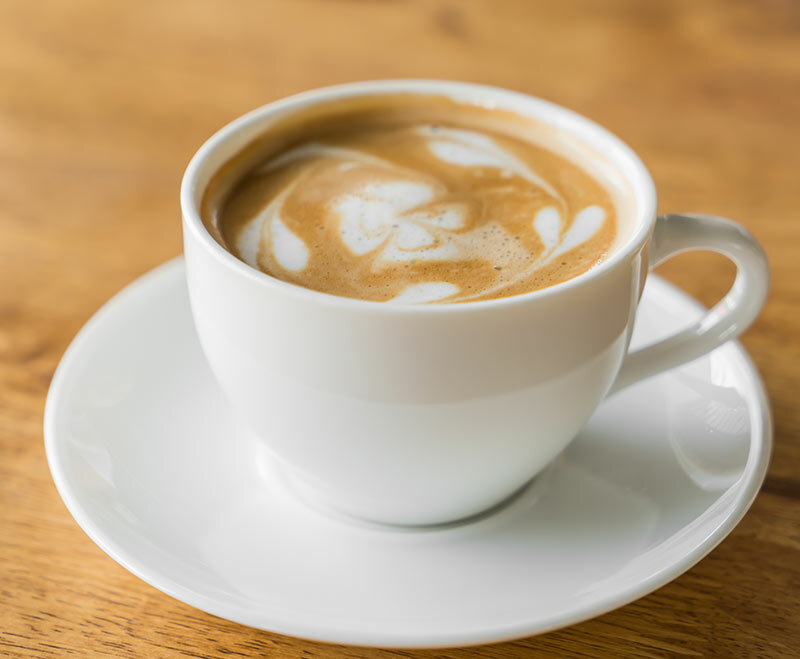 It wasn't long ago that cafes served instant coffee from a jar - but today you can't walk down a high-street without finding a Costa, Starbucks or other cafe serving high-quality coffee. This increase in popularity isn't just limited to the high street though. Today, many people enjoy espresso from the comfort of their own home, often via a bean-to-cup coffee maker.​ How do these machines work? Are they different from those found in coffee shops? And how do they produce such excellent coffee? Let's find out. Espressos are a strong coffee that's traditionally served in a small glass. It is the base for many popular types, including cappuccino, mocha and cafe latte. But how is it made? The above image shows both coffee beans before and after being finely ground. Of course, there are many variables that affect the quality and taste of an espresso. These include the pressure used to force water through the ground coffee, the temperature of the water and how finely the coffee has been ground. This is why making the perfect cup of coffee is often an art as much as a science - especially if you want to customise the taste to your personal preferences. The goal of a bean-to-cup coffee machine is to make creamy, fresh and aromatic espresso in a quick and convenient way. Much of the work goes on behind the scenes, but every machine has a control panel that allows you to adjust settings and start/stop the coffee making process. Remember, every setting you change on the machine affects the underlying coffee making process. You'll find it much easier to make your ideal coffee if you know why a setting changes the coffee's taste, rather than just trying random combinations. Before coffee beans can be used to make an espresso they need to be finely ground. A good comparison for consistency is sugar granules, although the fineness can vary depending on what the barista wants to achieve. As a general rule, the finer the coffee the longer the brewing time needs to be. This is one of the major advantages of a bean-to-cup coffee machine: the machine grinds beans "on demand" whenever you want to make a coffee. You can also adjust the coarseness setting beforehand and the best models grind new coffee for every shot if you want a double. The next step in the bean-to-cup coffee machine process is forcing hot water through the ground coffee. Water is held in a reservoir and is often heated using something called a thermoblock. A thermoblock is effectively a heating element with a valve that only allows water to move one way. This allows the machine to only heat the water it needs, reducing waste and speeding up the process. Once hea​ted, the hot water is then forced through ground coffee at high pressure. Most bean-to-cup machines use 15 bars of pressure, which is the ideal amount for producing espresso. ​After the process has completed, the bean-to-cup machine should have produced one or two cups of espresso. The coffee should have a strong taste, be slightly thicker than water and be topped with a rich crema. While the underlying process seems simple, the quality of coffee produced by bean-to-cup machines varies greatly. That's why we recommend reading our review of a machine before you buy. Bean-to-cup coffee machines automatically make espresso and cappuccino. This makes them highly convenient but also hides the sometimes complex underlying processes involved in making the perfect coffee. 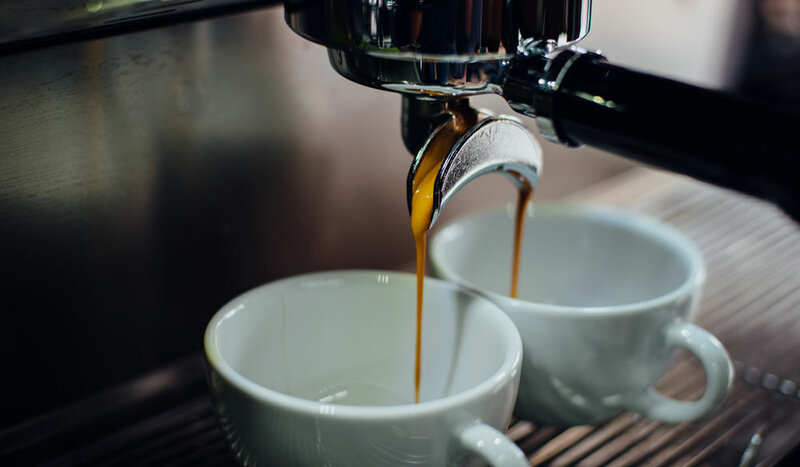 In this article, we've taken you through the basic process every machine goes through when you click "start, " from grinding the beans through to the final crema.